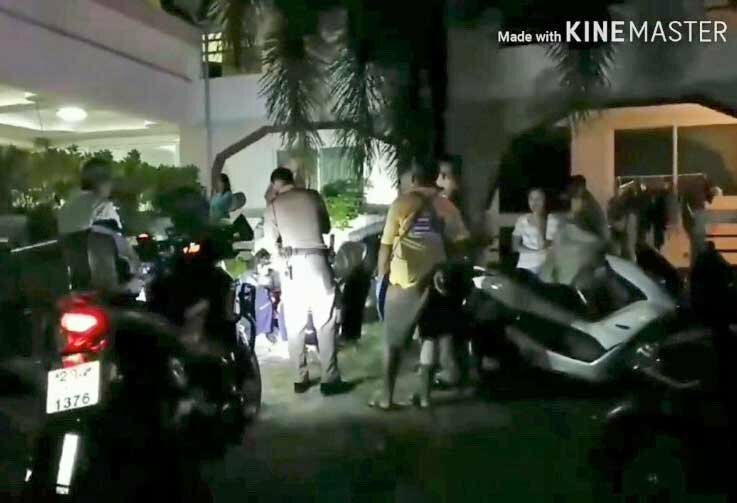 Police rushed to the Valida Apartment in Soi Kor Phai, Pattaya, last night after a Thai woman jumped. Pol Capt Pallop Ringrot and medical teams found a large crowd surrounding Linda Janya, 20, who suffered injuries to both legs and couldn't get up. She was taken to hospital. She is from Sakhon Nakorn. The manager of the apartment building said they had heard an argument and Linda's Kuwaiti boyfriend packed up his stuff and left. Later that evening she was seen talking on the phone on the second floor. Then someone rushed in to say she had jumped. Only jumped from the 2nd floor, and feet first? Ahhh, hell, she wasn't serious. Only trying to get attention and some sympathy. having a Kuwaiti as a boyfriend would make anyone jump. This is to be considered a training jump. She now only has to survive 3rd, 4th and 5th floor too. Then she is going to be fully licensed to take the 10th and above floor jump. Yep, this one did it all wrong. She should have been having a party with friends. That's higher than the million "officials" had to jump wearing parachuter badges. Hardly news. A silly cow does something stupid, mind you hooking up with a Kuwaiti wasn't a smart idea in the first place. What these brand of people do is tote this girl around for 1/2/3/4 weeks enjoying the view and not pay them 1Baht when they leave. Well if they were only enjoying the view then why should they pay? racist comment are comment in here when it is about Muslims why ? Ain't heard that one before .. Thai girl hanging around with no money .. They usually go mental if you mess 'em about over money and don't hang around .. An you never seen departing farang at the airport with a Thai bird in tow .? Whose bloken heart at johnny farang leaving will quickly be healed by him handing over a big lump of cash afore he departs ( not forgetting the gold if she was really persuasive in their time too-getherr ) .. Before she taxi's back to Patt' to do it all again ..